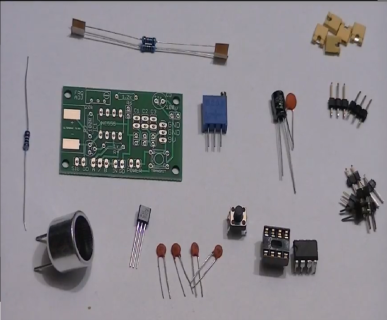 This listing is for a DIY electronics kit version of our new ultrasonic transmitter module. You solder it together yourself by following along with our detailed assembly video (Below). The above video manual outlines the functions of our new transmitter and receiver modules in full. If you have any questions, you can drop us a line through our contact page. We'll be happy to answer any questions that you might have. The listing price of this DIY kit includes international ground shipping. If you'd like to purchase more than one, contact us, and we'll combine shipping. - On-board adjustable transmission frequency (15khz to 75khz). Included is 40kHz transmitter, so nominal transmission frequency is 40kHz. Thank you for taking an interest in our wares. Please feel free to contact us if you have any questions.